Sanjuro is a drifting samurai who arrives in a 19th century Japanese town looking for work. 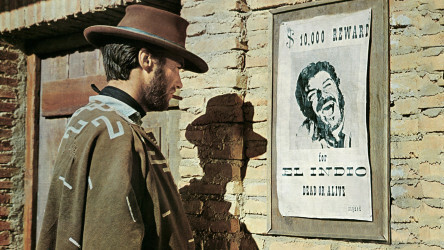 He discovers via the local innkeeper that the town is split by two warring factions, each headed by powerful gangsters. Sanjuro quickly sees the financial opportunities for a mercenary such as himself, and in no time he is playing both factions off against each other. All is going well, it seems - until the arrival of Unosuke, the offspring of one of the gang leaders, a development which means Sanjuro must use all of his wits and cunning to survive. This Japanese epic following the adventures of a band of samurai is one of cinema's most influential films. 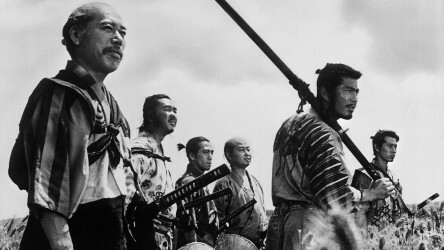 Akira Kurosawa's light-hearted samurai film focuses on a scruffy, cynical hero who takes a group of young samurai under his wing.